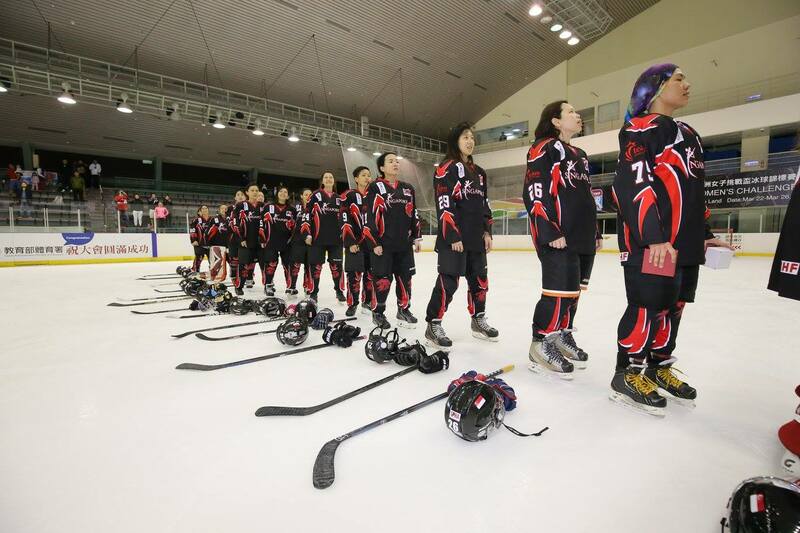 This year saw a line of new girls headed up to Taipei City for CCoA for their first times, while the senior girls who came back from Hong Kong the last edition worked hard to hone their skills since their last tournament. 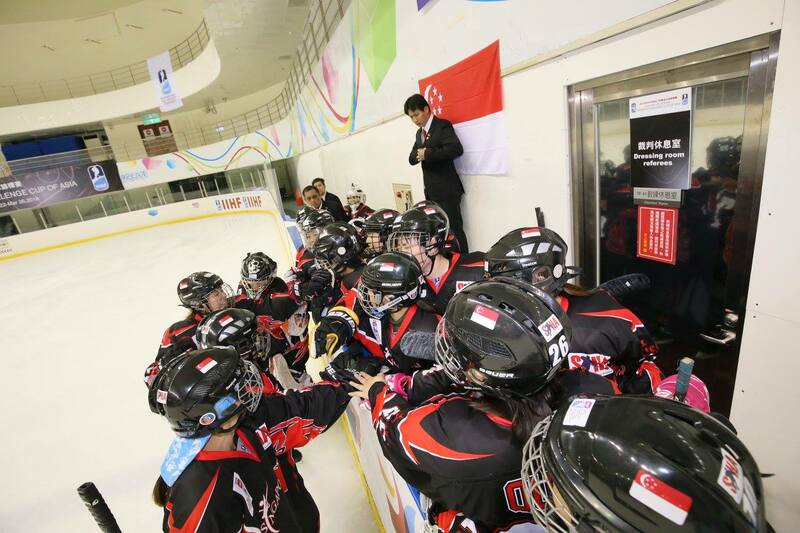 Together, the team bagged a bronze medal for Team Singapore. One week living together in a city that many hasn’t been before meant a lot of team bonding. 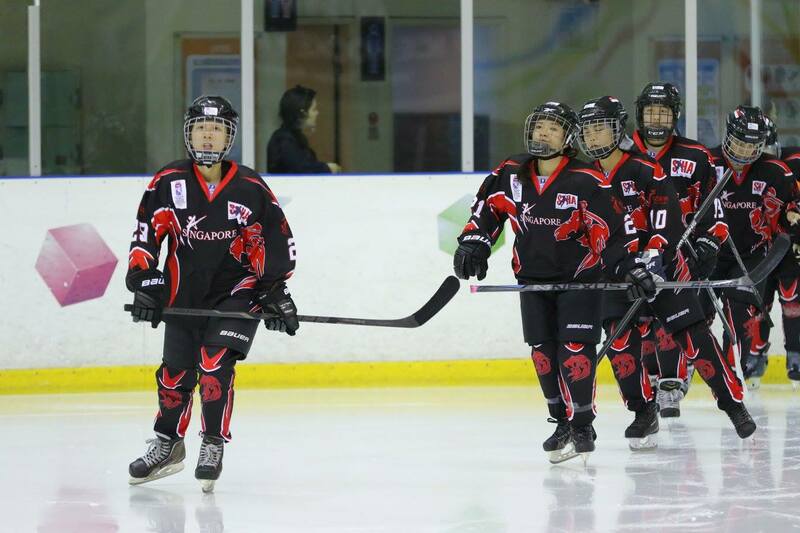 Dana Lim flew from UK to join her fellow team mates to Taiwan for a week of hockey at the highest level of CCoA. 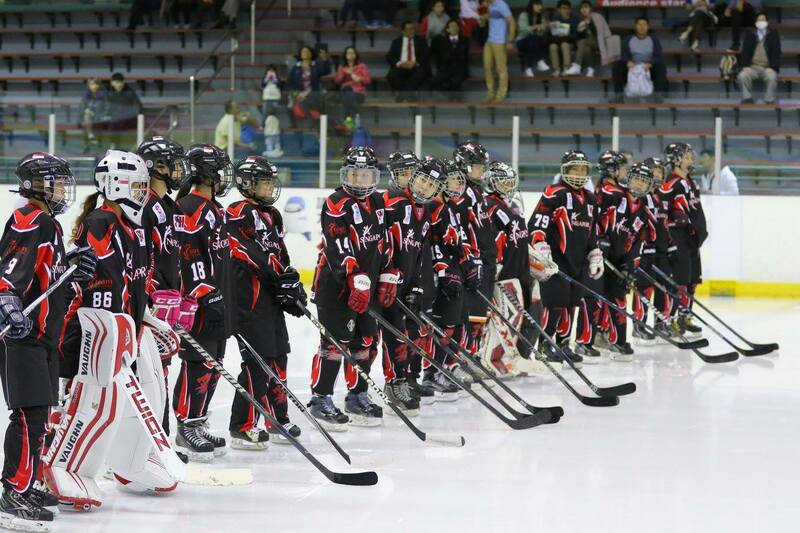 While the first night meant exploring the beautiful night markets that Taiwan is famous for, the rest of the week meant morning exercise, followed by warm ups, morning ice practice and game. 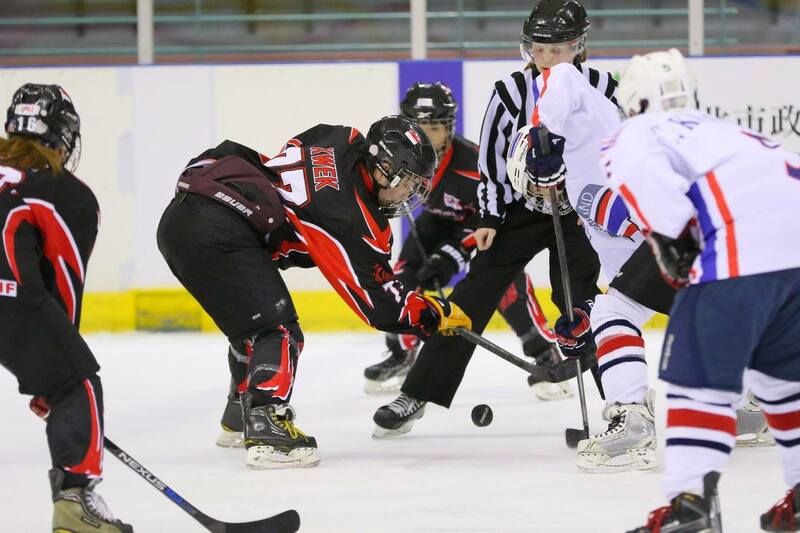 The games were played at 3 periods of 20 minutes with stop time and 15 minutes break between each period. 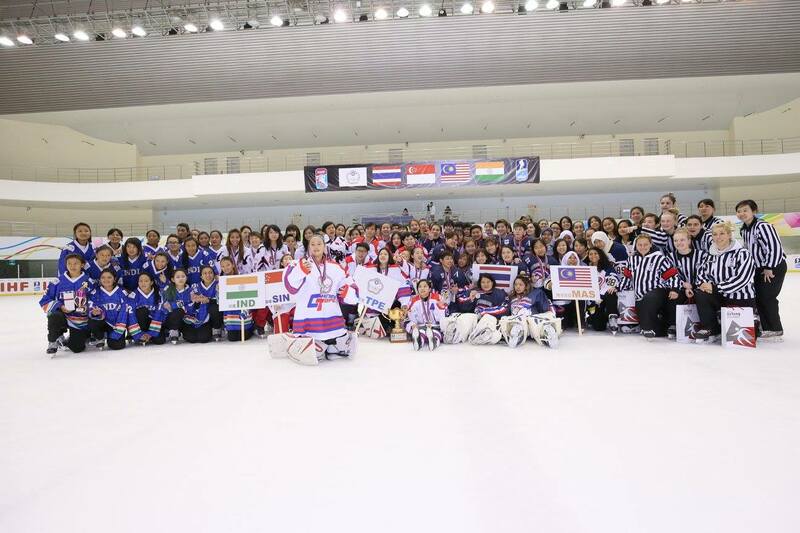 The first game against the Indian girls gave the team their first win of the tournament with a score of 8 – 1, 5 of which was scored by Lim Wen Lin. As incredible as it was, one of our new girls made it to the wall of fame for the most amount of faceoff wins. Good job on that, Siti! 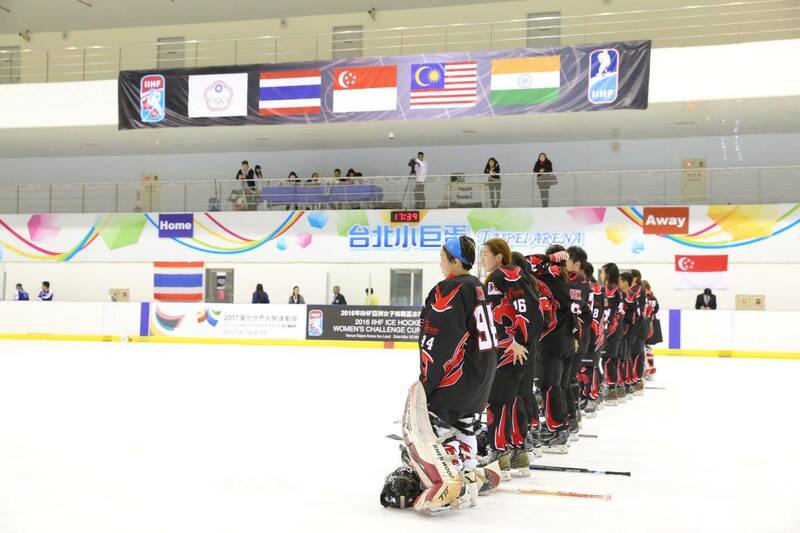 The second game was a loss against Thailand with a score of 9 – 3. 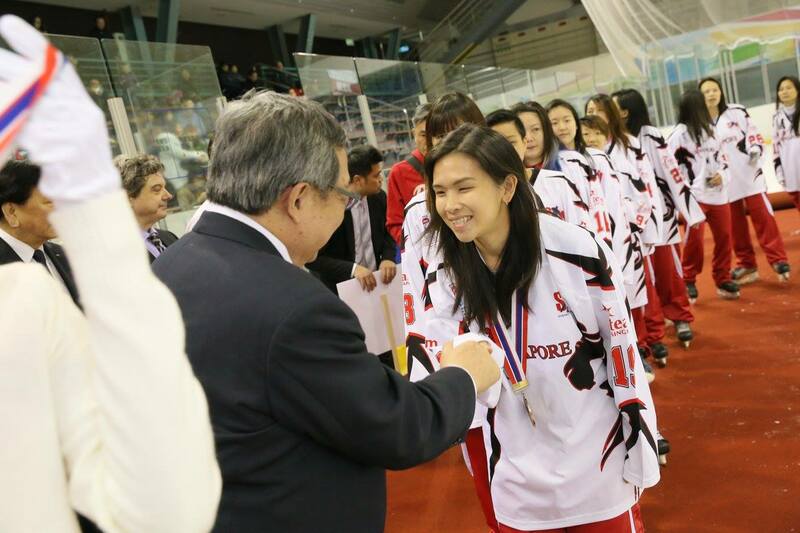 The 3 goals were scored by Lim Wen Lin, Jaslyn Lim and Emily Kwek respectively, with Captain Emily Kwek winning the Star of the Game award. 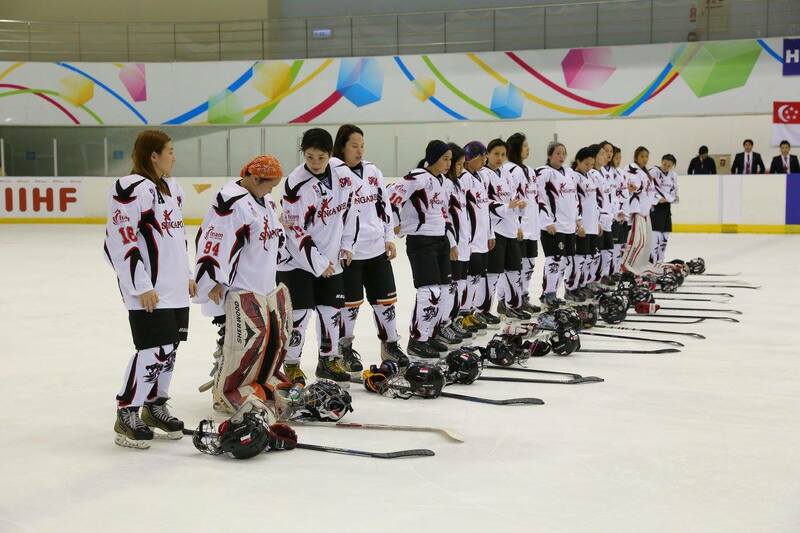 Third game was the toughest for the girls, losing 15 – 1 against Taipei City. The opponents were very strong and well trained, firing shots after shots at our goalie. 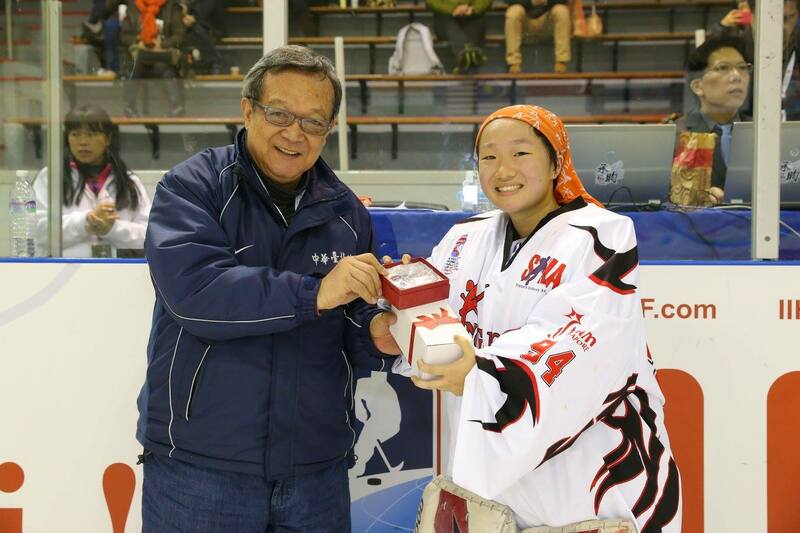 The only goal from Team Singapore from this game was scored by Emily Kwek, and our goalie Caroline Ang winning the Star of the Game award. As tough as it was, our girls learnt a lot from this game, and were inspired to train harder to play better in their next game. 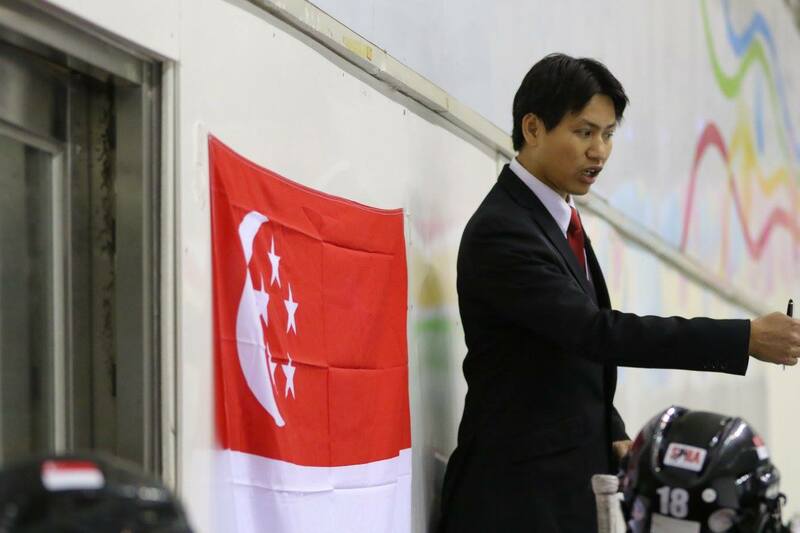 The final game was a battle for bronze against our country’s strongest rival – Malaysia. Both teams played their hearts out, putting on their best performances, both hungry for the win. First period saw a total 8 separate penalties served by both teams. 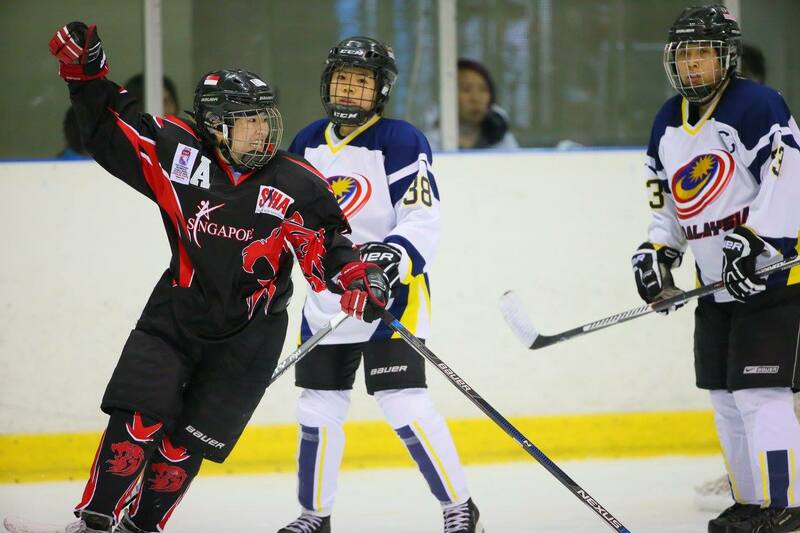 The first goal came in for Team Singapore by Quek Yun Fang during the 2nd period, followed by the next one by Jaslyn Lim. 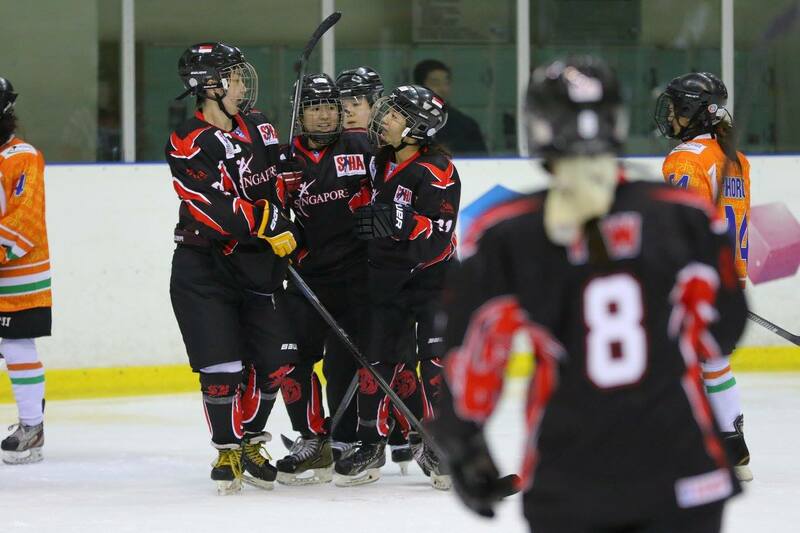 With another two goals scored by Emily Kwek and Jaslyn Lim respectively, the team won the game with a score of 4 – 1, putting the Majulah Singaura over the sound systems of the arena. 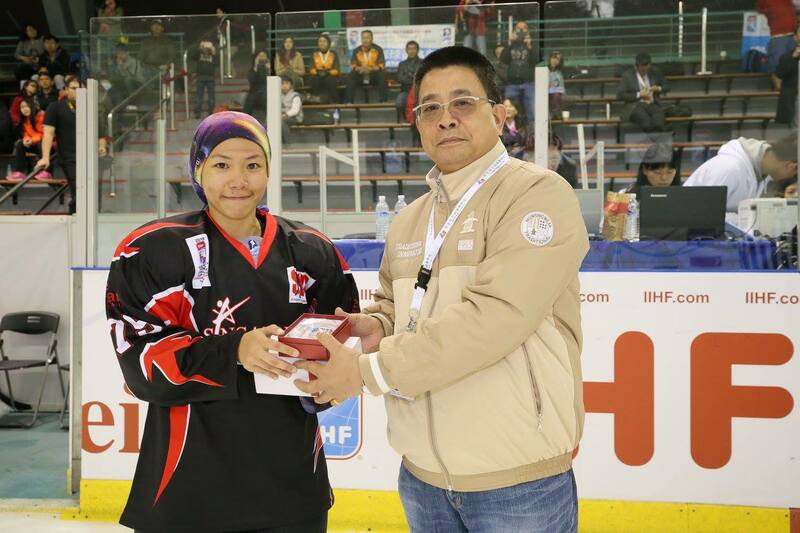 Valerie Cheng won the Star of the Game for the final game. While it was tough for the girls to keep up with their new routines, there were several pleasant surprises from the Men’s team; some of them flew in to support the girls. It was a fruitful tournament; the girls had learnt much more about the game, making new friends around the region. 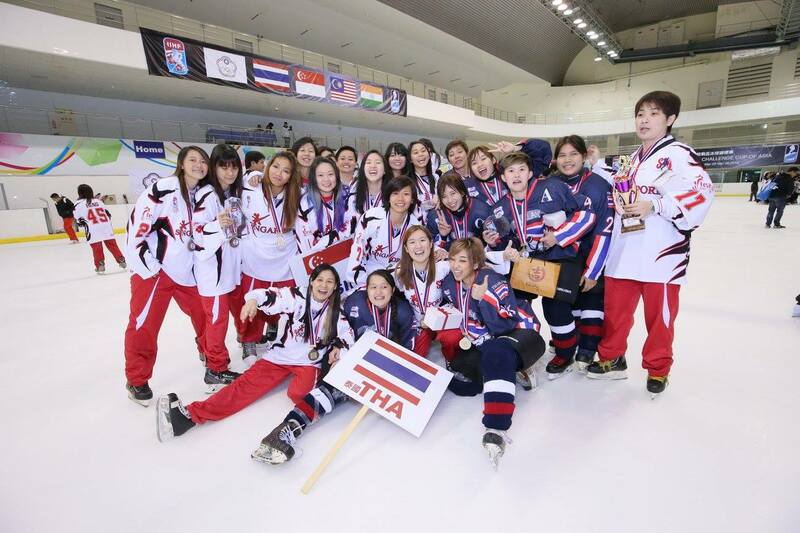 The next WCCoA will be held in 2017 in Bangkok on 15 – 20 March. Details of the selection process this year will be updated, so stay tuned.